"We continue to do this because our students love animals and building public awareness to get the care needed for animals on O'ahu," said Lower School Principal Kaʻipo Bailey-Walsh. As a part of community outreach, the goal of this annual drive is to help the HHS with supplies so they can devote more resources to helping animals. This year, donations flooded in from parents, students and staff. Everything from dog beds, toys, treats, food, laundry detergent, towels and dog shampoo was dropped off. "I like seeing that people care through their donations to the Humane Society" said Siara Sam, vice president of the LSSC, as she organized pet food into catagories. "We love to help animals in need," Ami Yakumaru, student council historian, said. 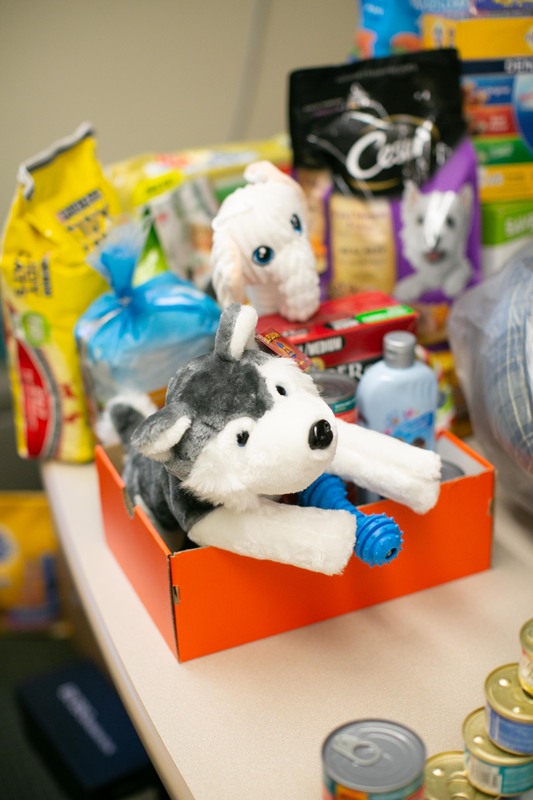 "We like supplying the items to the Humane Society so that our O'ahu animals can get the care they need." When students dropped off the donations at the facility on Waiʻalae Avenue, they received a tour from HHS staff and learned about animal care and wellness. They also learned about how the animals are rescued and how they and how they can help in the community. The pet supply annual drive has a history of participants going home with more than just information about the animals. At the inagurual drop off, Bailey-Walsh came home with a cat she named Kekai. Last year, Senior Maintinance Associate Rodrigo Edra drove the students to drop off their goods and adopted four chickens. "We call this drive 'Project Pride' because our school's mascot is the lion," Bailey-Walsh said. "We are just so proud of these lionesses for helping their community. They are such good examples of mālama in our Lower School." See more photos from the pet drive in our February photo gallery.